Following repeated requests - After all these years I now feel brave enough to offer guitar tuition to those wanting to learn the way I learned guitar...by simply picking up the instrument and working it all out! I did have a little guidance from my mate at the time - but no formal lessons at all. Working mainly from chord diagrams and sheet music, I simply pieced chords together or followed sheet music of my favourite pop tunes of the day. It wasn't - and never will be nuclear science - I simply play the guitar the way I feel...I can share some of this with total beginners and a very reasonable rate, whether I visit you at home - or you visit me. E-mail me...with your contact details and we can discuss your first lesson....The Tim Jenks way...and let me start you off into a whole new satisfying way of spending spare time. Click here for an outline of what your lessons will entail. Click here for advice on buying your first guitar. 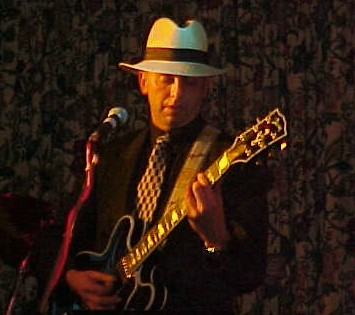 Although not formally qualified to teach music, Tim is a fully trained educator. 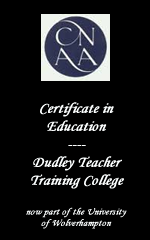 On leaving school he qualified as a teacher at Dudley Teacher Training College (which became part of Wolverhampton University in the 1980s) obtaining a 'Cert Ed'. Then as part of professional development after a career change he obtained City & Guilds - V1 (Conduct Internal Quality Assurance /Assessment Process) and City & Guilds - D32/33 (Competence in Training & Development Vocational Assessor). His love of the guitar, combined with almost half a century of experience and formal training in how to impart knowledge and skills make him an ideal guitar tutor. He has experience of teaching a wide range spectrum of ages and will adjust the lesson speed to your skills, needs and wants.